With the end of the high school spring sports season coming to an end soon, it’s time to start thinking about how to make the most of the hard work. One of the best ways to ensure that your hard work will pay off through an athletic scholarship is with a sports highlight video. Highlight videos not only help you remember your season for years to come, but they are also excellent tools to help you move your athletic career from high school to college. The cost of college tuition is skyrocketing and more and more students are having to rely on athletic scholarships to afford the cost of school. Because 98 percent of student-athletes have to self-recruit by reaching out to coaches, it’s important to get a jump start on this process by creating a sports highlight video. Highlight videos help show coaches your skills and abilities without them having to travel hundreds of miles to see you play. The primary goal of our highlight videos is to cause a coach, scout or recruiter to be interested enough to come to watch you play in person. A professional highlight video sets you apart from all the athletes vying for a spot on the team at your dream school. 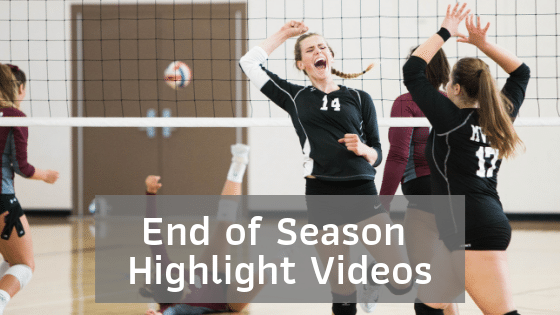 Even if you aren’t planning on continuing to play your sport at the collegiate level, a highlight video can help you remember your season and the fun you had with your teammates. Many retired athletes will tell you that their high school athletic days were some of their favorites, but few of them have any tangible reminders of these days. With the technology of today, we have many options for commemorating these special memories. One of the best ways to do this is through a highlight video that you can share with your family and friends for years to come. If you are interested in learning more about our highlight video services, contact us today! We can’t wait to work with you.